We have one more stop on the road to Andromeda. 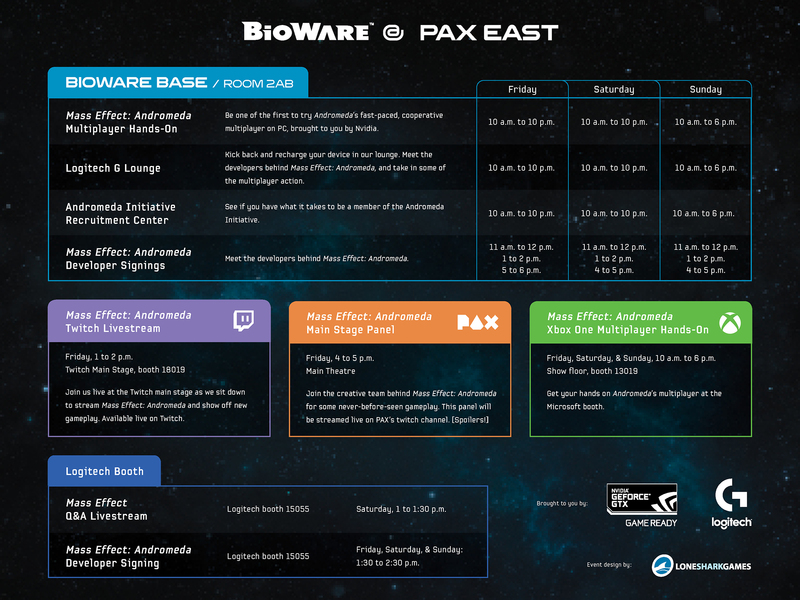 We’re heading to PAX East, from March 10-12, to give you a chance to play Mass Effect: Andromeda multiplayer. 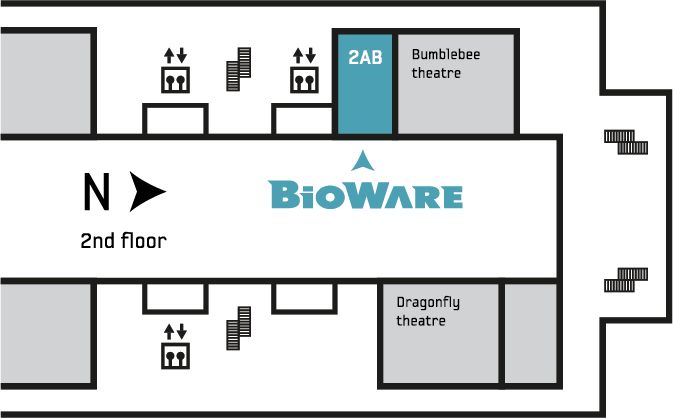 Join us at the BioWare Base (room 2AB) and be one of the first to join APEX and defend our new home in Andromeda. Featuring different character kits each day, this is your chance to try out Mass Effect’s fast-paced cooperative multiplayer on PC. We’ll be running 12 NVidia PCs from 10am-10pm, giving you plenty of time to join the fight. You can also visit Microsoft on the show floor (booth #13019) for your chance to play on Xbox One. 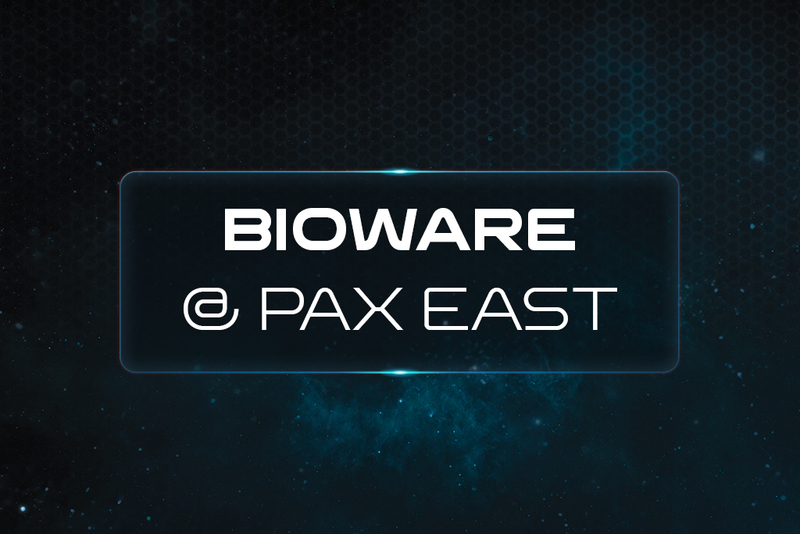 While we will have live multiplayer at PAX East, there will no longer be a multiplayer tech test for players at home. Thank you to everyone who signed up. We look forward to seeing you in Andromeda. Want to take a break? Join us in the Logitech Lounge at the BioWare Base. Hang out and meet some of our developers, recharge your devices, or just watch the multiplayer action on screen. See if you have what it takes to join the Andromeda Initiative. Take the RC Nomad out for a spin, and test your abilities in a series of challenges. The 600-year journey is almost complete. Join the creative team behind Mass Effect: Andromeda for some exclusive gameplay. Learn new secrets about what lies beyond our own galaxy, and hear stories from the developers themselves. Featuring a Q&A with the audience. Spoiler warning! Check out our full schedule below to see where we’ll be. (Times are listed in EST) Click to expand.